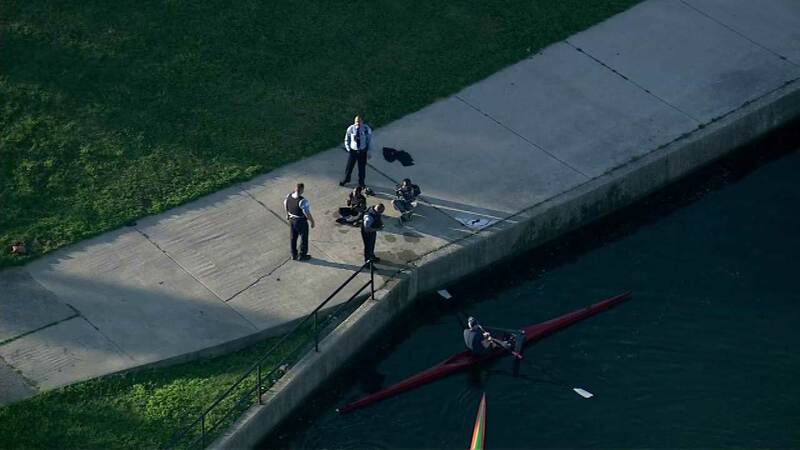 CHICAGO (WLS) -- Chicago police pulled a woman from the waters of Lake Michigan near Diversey Harbor Wednesday around 6:30 a.m. The woman went into the water, according to initial reports, during what appears to be a domestic disturbance. She was taken to Illinois Masonic in good condition, officials said. A man who went in after the woman, but apparently got out by himself was seen talking to police on the scene.